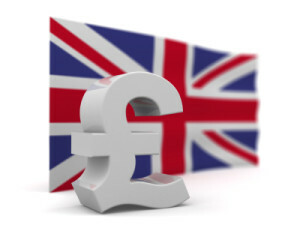 The pound saw whippy, volatile trading yesterday after PM May’s Brexit deal was wholeheartedly rejected by the UK Parliament. The outcome had been widely expected, with no real shift in attitude felt since the initial vote was delayed in December. However, it was the magnitude of the loss, 432 to 202, the biggest in more than a century, which sent the pound reeling by more than 1.5% at one stage to hit the lowest in 11 days. Opposition leader Corbyn has called for a government no-confidence vote later today, which PM May welcomed since she believes she can overcome it. Assuming she survives, the government then will have three working days to set out a plan of action, the so-called Plan-B. The options could include an extension to the Article 50 deadline of March 29, renegotiate terms of the deal (Europe has already said no), exit Europe without a deal or hold a second referendum. Whatever, more uncertain, volatile sessions are ahead for the pound. GBP/USD is down 0.14% at 1.2843 in today’s Asian session, though has been confined to a relatively tight 1.2832 to 1.2872 range. For the second time this week, the People’s Bank of China pumped liquidity into the banking system. Today it added another 570 billion yuan ($84 billion) via 7- and 28-day repos, the bulk of which was in the longer-dated tenor. There are no real sinister market implications as the central bank explained that its actions were meant to manage banking system liquidity in the run-up to the Lunar New year period, where cash demand spikes, and the annual tax payment period. Bank of England governor Mark Carney is slated to speak today, with markets pondering whether market volatility and the unsuccessful Brexit deal vote will be referenced. Aside from his speech, the data calendar rolls on with PPI, CPI and RPI all due, none of which are expected to trouble the central bank’s current rate horizon, while the no confidence vote takes place. German CPI numbers are also due, and also expected to remain trouble-free for the ECB. The US calendar features export/import prices, a speech from the Fed’s Kashkari and the release of the Fed’s Beige Book. TIC flow data from November completes the day. Previous: NZD/USD Technical Analysis: A Top in Place Above 0.68 Figure?